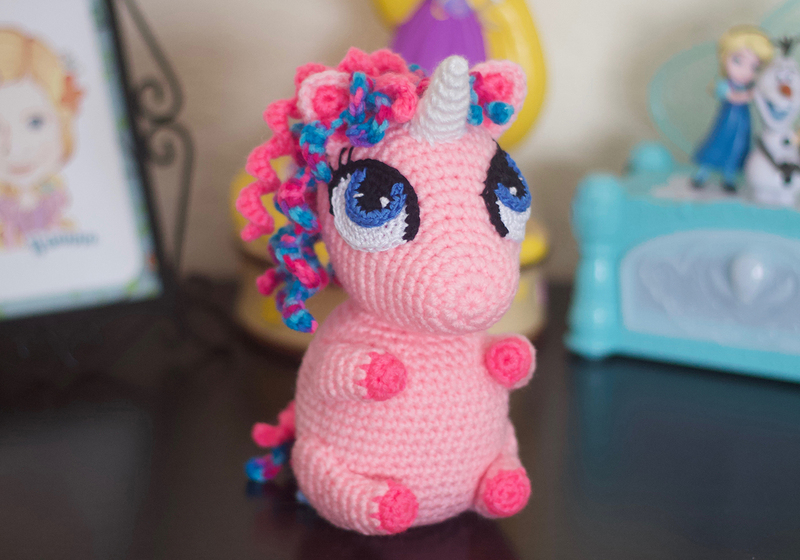 This amigurumi unicorn pudgy pal pattern is the perfect solution for those who want to create something that is gorgeous and looks amazing, but doesn’t take a lot of time! 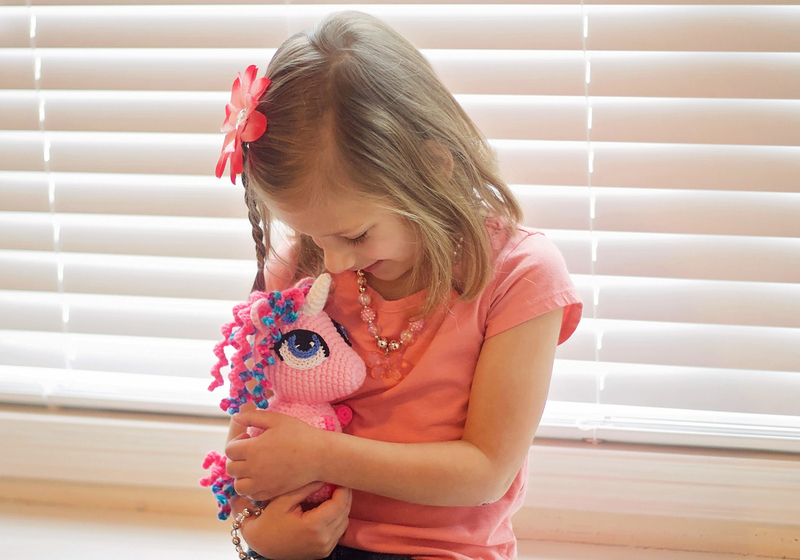 If you want a quick project that will make a special little girl squeal (or big girl!) then look no further. Options are provided to make your unicorns with either open or closed eyes. 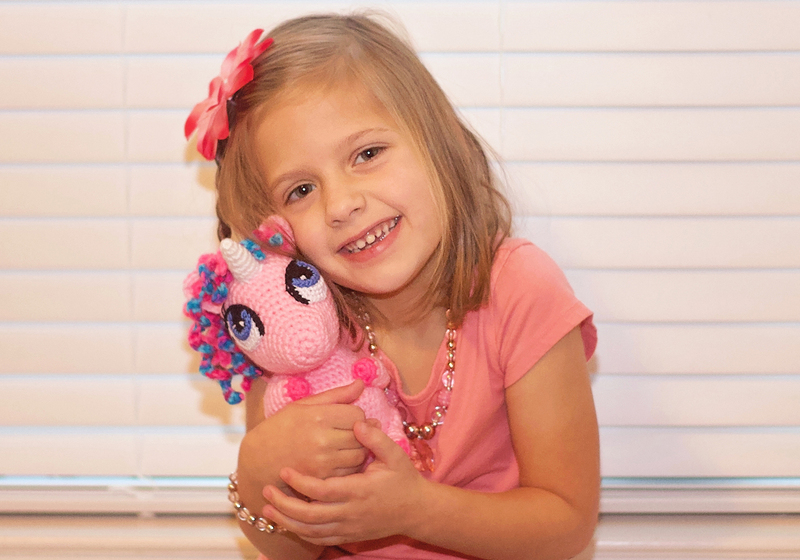 With these detailed instructions, even those with little crochet experience can find success creating their own masterpieces! The recommended yarn is worsted weight from Red Heart Super Saver or Caron Simply Soft. You will use less than 100 yards of main color. For the open eyes I used size 10 crochet thread (but there are many options on other yarns & threads you could use). If you want to weight down your amigurumi unicorn pudgy pals a bit, you can add polypropylene beans. Due to the nature of this item, no refunds will be given. If you have any questions I would be happy to help and my email is listed on the pattern. 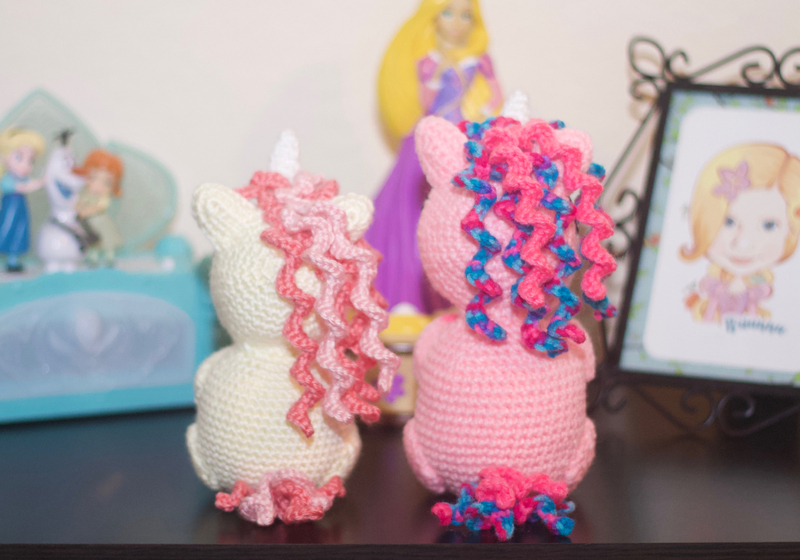 I have MANY matching unicorn patterns in my shop if you’re interested in making sets. I have the matching hooded blanket, hat, toy, lovey, leggings & tail patterns in my shop if you want to complete your set! You are welcome to sell any items made from this pattern, but please give credit with a link back to my website www.briabby.com. This pattern along with all images are copyrighted and you must use your own photos to represent your work. 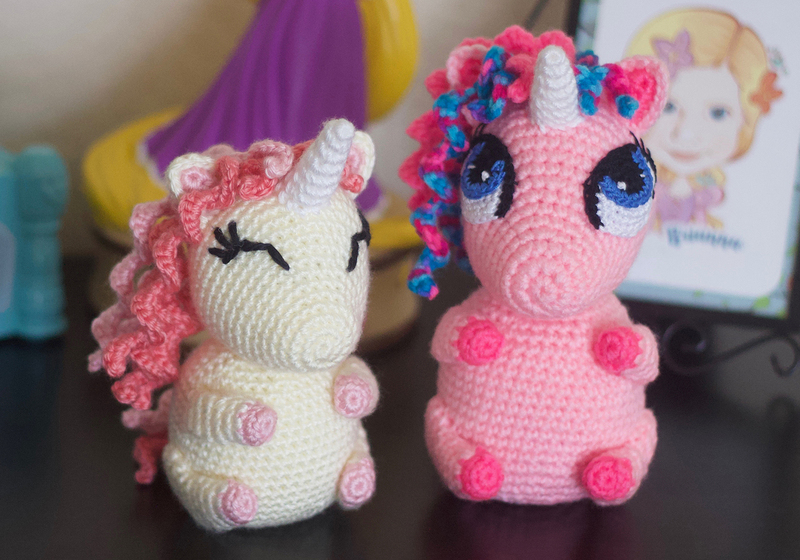 If you do make this amigurumi unicorn for sale, you are welcome to add your shop info to my Facebook vendors listing (in the comments below the picture of the item you sell) here goo.gl/XpXDRq. This is where I send customers who come to me asking for someone to make the actual product for them.